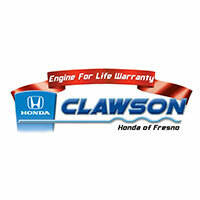 Thank You for Your Recent Visit to At Clawson Honda of Fresno! At Clawson Honda of Fresno, we’re in the business of exceeding your expectations from the moment you walk through our doors. Whether you purchased a new vehicle or stopped by our service center for maintenance or repairs, we sincerely hope you had a pleasant time with us. We would appreciate it if you could take a moment of your time to share any feedback you may have, as we are constantly seeking ways to refine our customer service. Thank you for your time, and for choosing Clawson Honda of Fresno! The rating bar above will take you to a site where you can rate your experiences at Clawson Honda. It takes just a minute to give us your thoughts, but your feedback is hugely important to us as we continue to refine our processes. Thank you for your time, and for choosing Clawson Honda!